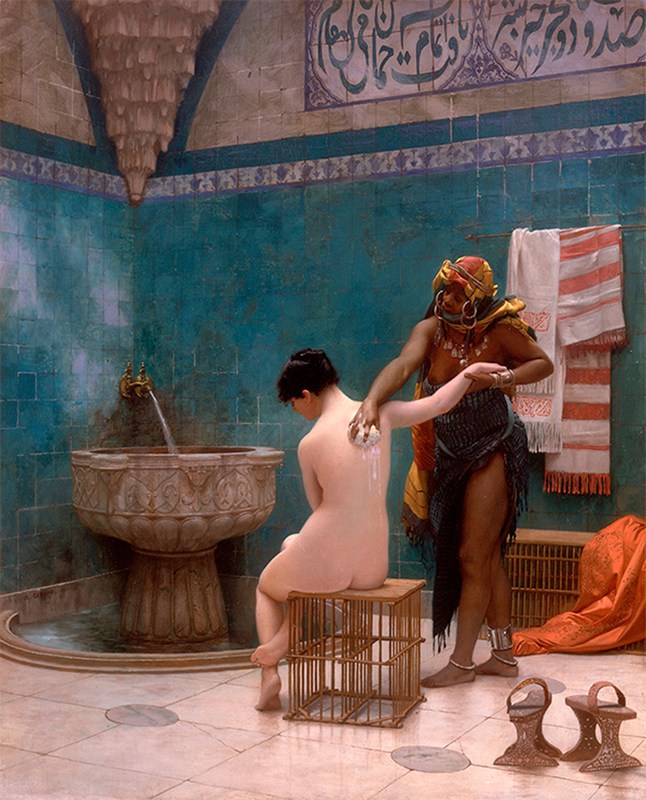 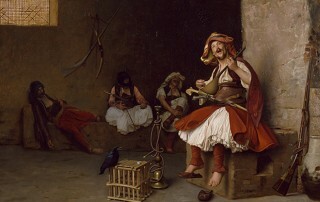 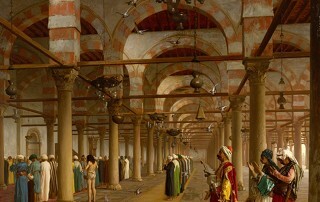 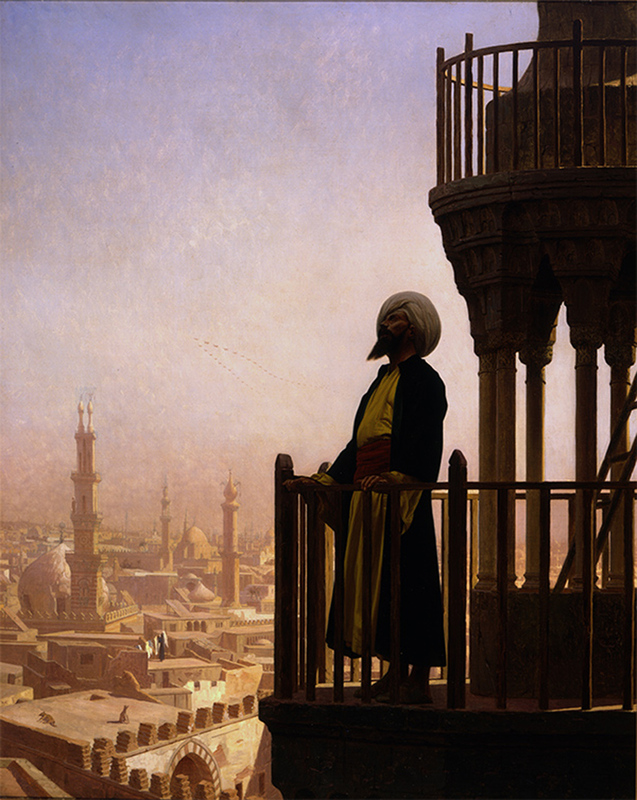 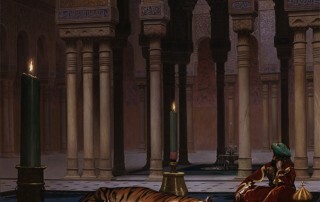 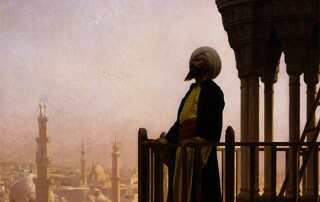 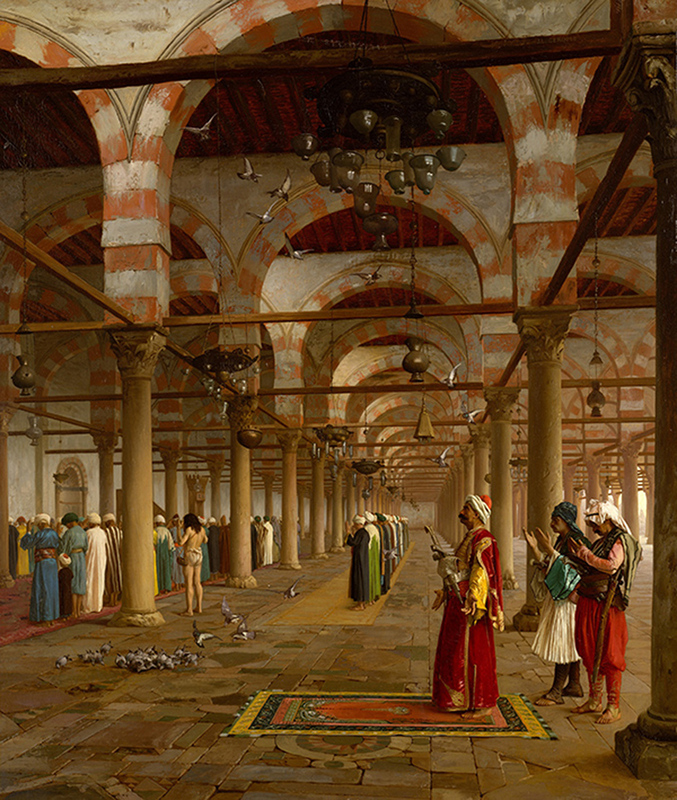 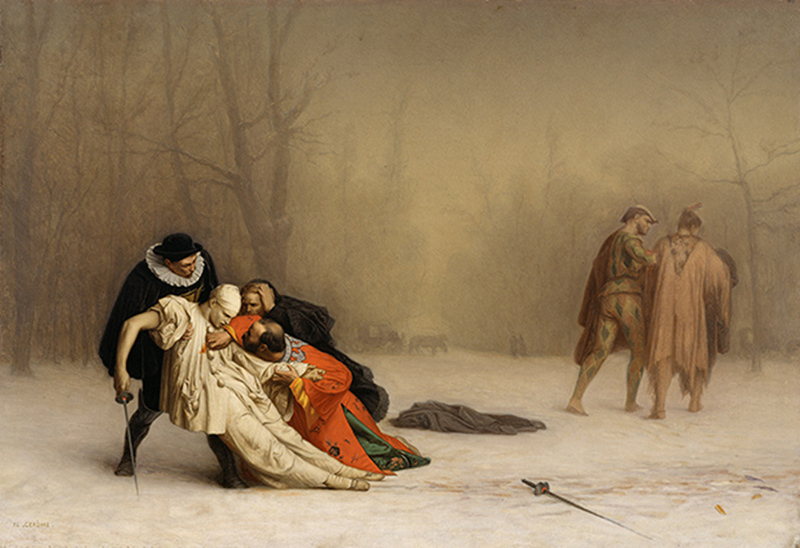 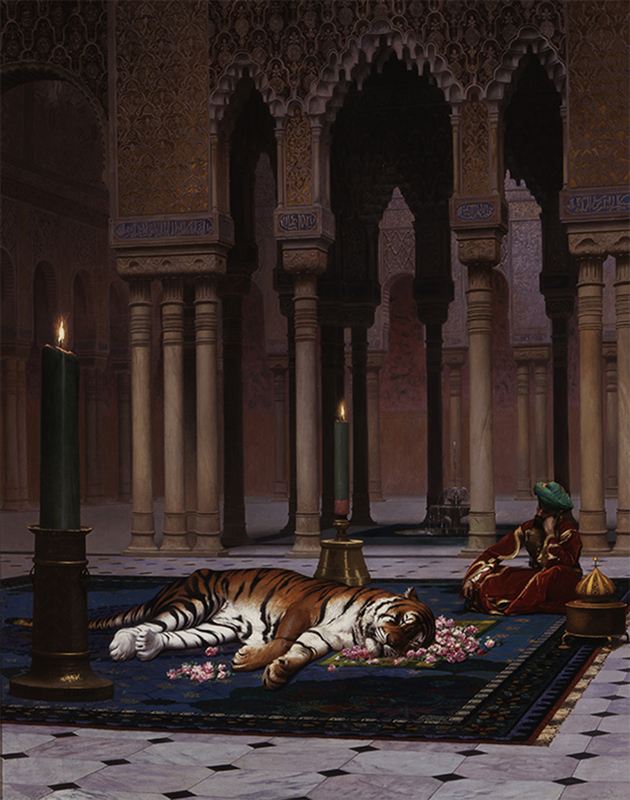 Jean-Léon Gérôme was equally famous as a painter of narrative themes set in contemporary North Africa and the Middle East, the classical world of imperial Rome, or the more recent history of the court of Louis XIV, and as a strict academician in his role as a professor at the Ecole des Beaux Arts which lasted for forty years. 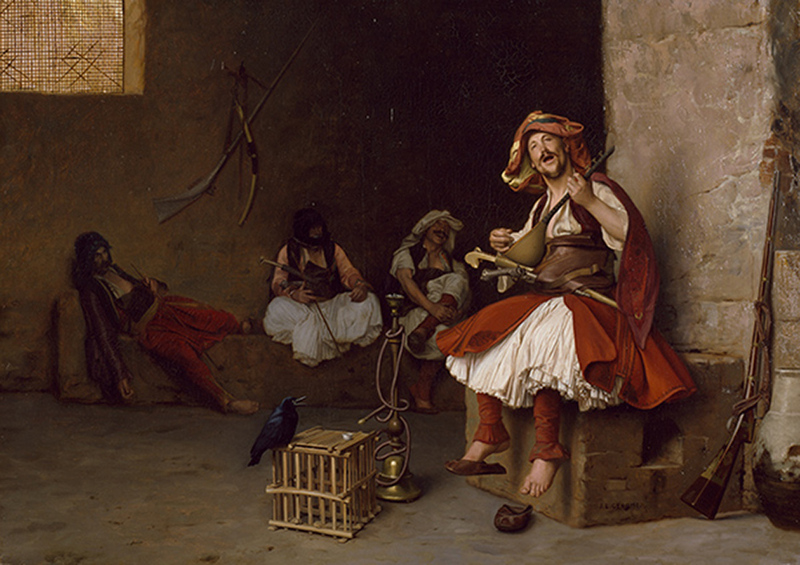 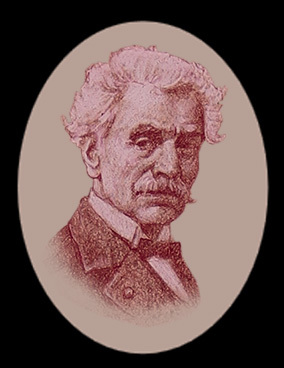 As he taught over 2000 students, Gérôme’s influence was far-reaching, his insistence on careful drawing and thoughtful composing felt not only in his pupils’ work but in their own teaching in turn. The firsthand information gathered through his extensive travels enhanced his carefully researched and meticulously finished paintings, habits cultivated in the studios of his teachers Paul Delaroche and Marc-Charles Gleyre.